Whether you're borrowing your neighbor's truck or plan to hook up a trailer behind your car, it's important to know the average weight of a cubic yard of soil and how much payload your vehicle can handle. Overloading a trailer, or worse yet your neighbor's truck, can lead to costly repairs. So before you head out to get a yard of dirt, check the manufacturer's manual to find the payload rating. Then all you'll have to think about is how many yards of soil to buy. Loose soil weighs less than compacted soil. 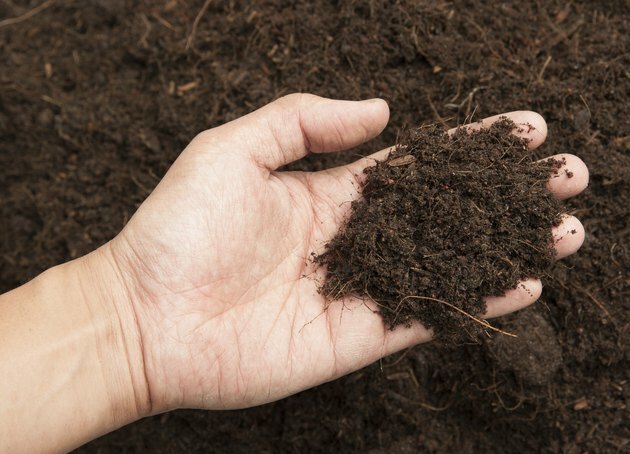 Sink your hand down into a pile of rich, organic soil, and you can feel the moisture in it. 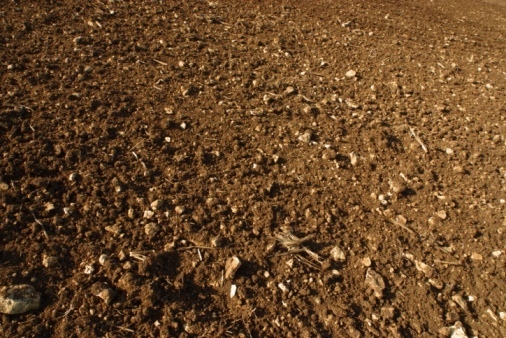 Moisture in soil holds it together and is a primary factor in determining the average weight of a cubic yard of soil, no matter what components the soil is made of. For instance, 1 cubic yard of dry soil topsoil weighs about 2,000 pounds, while the same soil can weigh around 3,000 pounds when saturated. If you're planning to buy soil to spruce up a yard or create a new flower bed, purchase it on a day when it's not raining. It'll be lighter to haul and easier on your back to unload. Purchasing a soil that has been mixed with compost adds nutrients to the soil or garden bed, while mixing in wood chips improves drainage. Soils that have amendments added in change the weight of 1 cubic yard of soil depending on the type and percentage of the amendment added, and if it's wet or dry. For example, 1 cubic yard of topsoil weighs about 2,000 on average, and 1 cubic yard of wood chips weighs 1,000 pounds or less. Mix one-third wood chips to two-thirds topsoil and the total weight of the soil mix is much less compared to 1 cubic yard of pure topsoil. To figure how many cubic yards of soil you'll need for your project, you need to know that 1 cubic yard is the product of 3 feet (width) multiplied by 3 feet (length) multiplied by 3 feet (depth), for a total of 27 cubic feet. To determine how many cubic yards of soil you need for your project, measure the space's width, length and depth in feet and then multiply them together and divide by 27 to convert to cubic yards. For example, your space is 10 feet wide, 20 feet long and 1 foot deep. Multiply 10, 20 and 1 together to get 200 cubic feet. Divide by 27, and you find you need about 7 1/2 cubic yards to fill the space. How Much Does a Yard of Topsoil Cover?